Brian P. Kelly, Ph.D. Gladius Lewis, Ph.D.
A biomechanical study was performed to compare range of motion of the multi-body lumbar spine using three different protocols: pure moment, eccentric loading, and a new method called combined loading moment. The objectives of the study were to introduce a new protocol that overcomes the limitations of previous methods by applying more realistic loading conditions and to compare the range of motion of this new protocol to those of eccentric loading and pure moment protocols within the same specimen pool. The second objective of this study was to compare the data sets of these three protocols to both in vivo and in vitro data sets. Because of the clinical issues with the lumbar region of the spine, it is important to understand the normal mechanics of the lumbar spine. In vivo methods of determining normal mechanics are limited, and in vitro methods have shown to be more realistic. Pure moment methods apply only a pure moment that is constant at every level of the spine. Pure moment with the addition of follower load increases the load carrying capacity of the in vitro spine. Eccentric loading produces physiological motion but the moment loads applied at each level are unknown. The previous methods of loading do not account for shear loads applied in vivo. A new method was developed called combined loading moment and includes axial, shear, and moment loading. This study compared three methods using six harvested spines tested in flexion and extension. 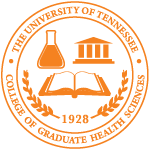 Eccentric loading was first applied using an existing protocol of the University of Tennessee Health Science Center (UTHSC) Joint Implant Biomechanics Laboratory. Pure moment and combined loading moment were both applied using new protocols adapted from pure moment for single motion segment units using the UTHSC Spine Robot. The intersegmental rotations were measured using a camera system with LEDs. These rotations were used to create motion profiles to compare to in vivo studies and previous in vitro studies. Variations among in vivo and in vitro motion profiles could be due to a number of factors including subject groups and test methods. Results from this study showed that follower load may not be necessary in order to apply in vivo loads to the in vitro spine. Axial load was determined to limit range of motion. Shear loads appeared to increase flexion range of motion, but appeared to only increase extension range of motion until the facets joints prevented further motion. The pure moment protocol used with the Spine Robot overcame the limitations of standard fixed pulley methods of pure moment. Future work with the new protocol should attempt to increase the magnitude of the vertical load and further explore the effects of shear load. Additionally, future work should include lateral, axial, and coupled rotations. Stubbs, Jessica Rose , "Use of a Multi-Axis Robotic Testing Platform to Investigate the Sagittal Mechanics of the Multi-Body Lumbar Spine" (2011). Theses and Dissertations (ETD). Paper 256. http://dx.doi.org/10.21007/etd.cghs.2011.0302.